The Mill on the Floss is one of the great works of English literature. 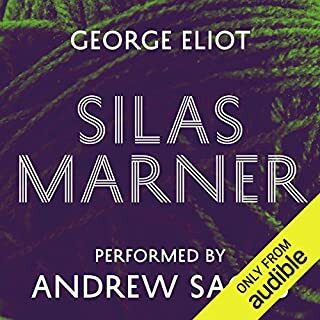 It is perhaps the most autobiographical of all Eliot's novels. The relationship between its heroine, Maggie Tulliver, and her brother, Tom, closely resembles that of George Eliot and her own brother, Isaac. The subject of sibling affection was clearly a deeply poignant one for George Eliot - she also wrote a series of beautiful and evocative sonnets entitled 'Brother and Sister'. Maggie's feelings as she nurses her dying father also echo those described by George Eliot in a letter when she was in the same situation. And there is something in the essential character and personality of Maggie that reminds us of her creator, of what we know of her from the life she led and the decisions she made. 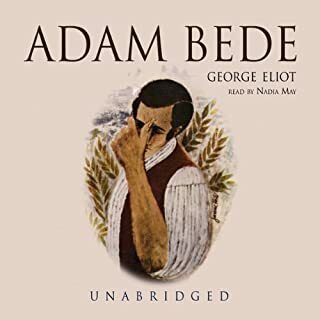 Like its predecessors, Scenes of Clerical Life and Adam Bede, it is a domestic tale. And, like its predecessors, the book draws closely on people and places in Eliot's native Warwickshire. Although she did travel to Lincolnshire, where the story is set, to identify appropriate rivers for the apocalyptic flood, Dorlcote Mill closely resembles Arbury Mill, where the author played as a child. It is essentially a story of family loss, tragedy and the sheer cruelty of fate. Like many of George Eliot's heroines, Maggie Tulliver's intelligence and emotional capacity are her undoing; they create in her an appetite for greater things than the social restrictions of the day tended to offer women - a theme which characterises much of George Eliot's work. Best reader I have ever heard. Been listening for years. 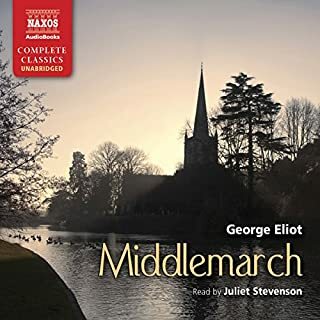 This is a major work of literature, and a good introduction to the more challenging Middlemarch. It's a fascinating story, and a classic. 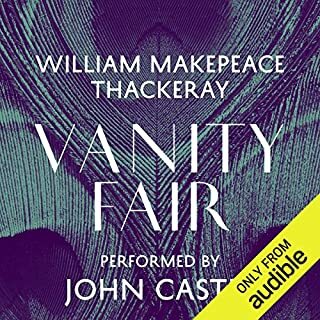 I recommend this book, and especially this amazing performance, to literature buffs. First of all let me say, I do not like George Eliot. This was a book club book, so I had to "read" it. I would never have made it through the actual 800+ page book, but Fiona Shaw read it so beautifully, I managed to finish it in time for the meeting. And I must say, this story had more humor than Middlemarch or Silas Marner. (But not up to Jane Austen's standards.) But those stories had a "happy ending" and this one did not. 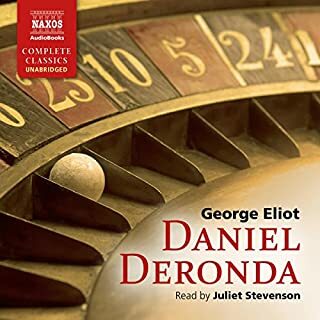 I understand that George Eliot was making a statement about the status of women in Victorian England--I get it, I get it--and she definitely makes you feel the injustice of that system, but does she have to take 800+ pages to do it? 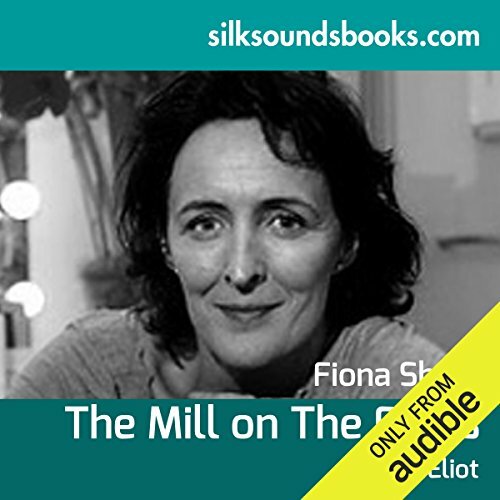 However, if you MUST read George Eliot, you cannot do better than have Fiona Shaw read it to you. She was absolutely perfect. 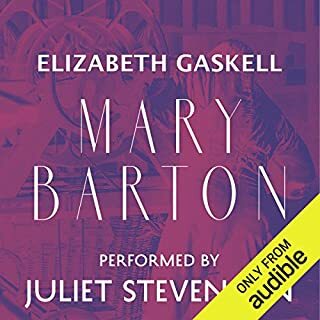 Now I need to listen to her read something I might actually like, such as Emma or Dr. Johnson's London. a writer well ahead of her time. All of George Eliots work should be required reading. Her character work is impeccable and only grows stronger with each of her novels. Her use of forshowding throughout TMOTF is harrowing and unrelenting, yet poetic and a poignant reminder of how insignificant human pettiness ultimately can be. The performance started off a bit off putting to me while the characters were young, but grew quite enjoyable as the story progressed and the characters aged. Who knew Petunia Dursley was so talented! This was a wonderful written, dramatic story. I enjoyed it very much. Thank you. Sad ending, and story in general. I couldn't get into this book initially but very glad I kept going. I enjoyed this book immensely. It has a strong narrative and shows profound psychological understanding. The main characters are complex. The minor characters can be identified in the community. There is a range of human feeling: jealousy, pride, stubbornness, snobbery, conceit and longing. There is reference to 'unconscious' motivation, which demonstrates that, contrary to the claims made by his followers, this concept was not invented by Sigmund Freud (1856-1939). The novel was written in 1860. Beautiful writing likes language of songs. loved it but find it difficult to comprehend it all.